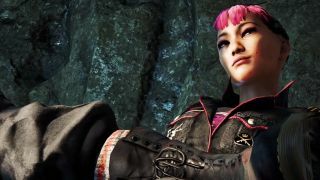 Ubisoft cranks out a lot of trailers, but the new one for Far Cry 4 is actually useful, at least as far as these things go. It's an eight minute breakdown of just about everything the game has to offer, from the basics of the story to weapons, vehicles, central characters, multiplayer, and the proper application of mysticism on the modern-day battlefield. The video covers a lot of ground, and yet much of it will be familiar to veterans of the previous Far Cry: Knocking out radio towers, collecting animal skins to craft items, enthusiastic firearms retailers, employing vehicles as offensive weaponry, interacting with a charmingly crazy (and preternaturally attractive) cast of characters, and all that sort of thing. It's a far cry from revolutionary, in other words, but as an open-world arena for creatively blowing stuff up, I expect it'll fit the bill. We'll find out in six days: Far Cry 4 hits on November 18.